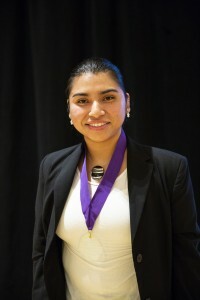 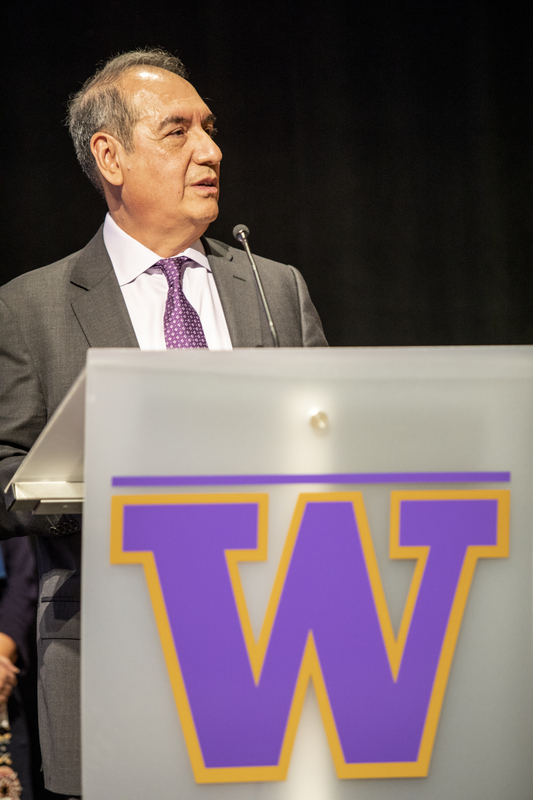 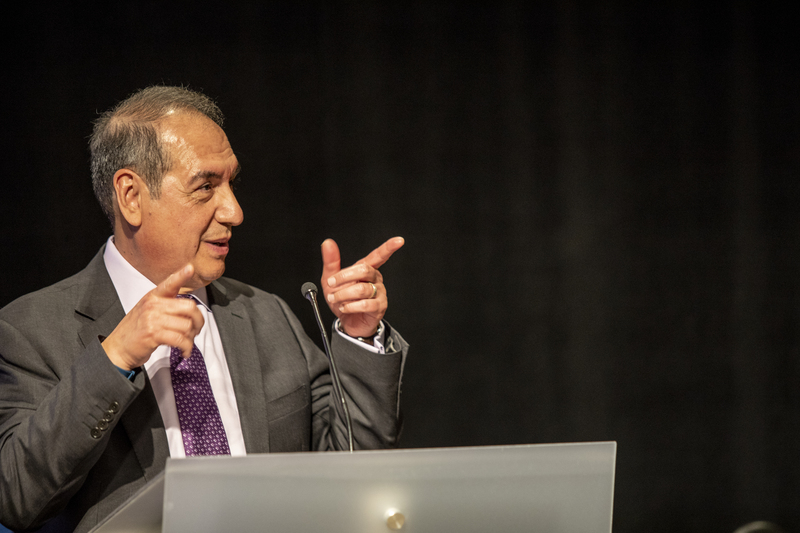 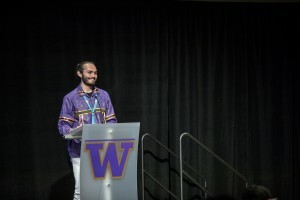 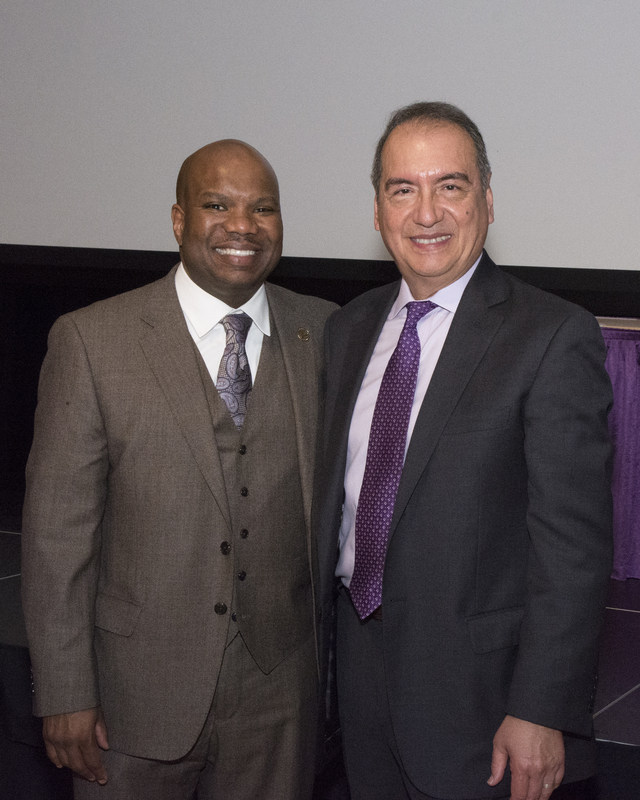 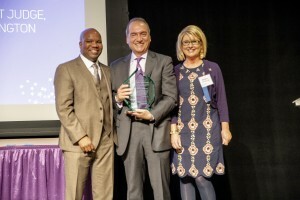 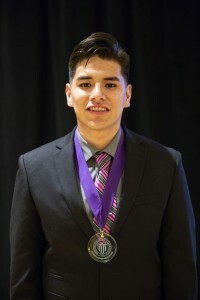 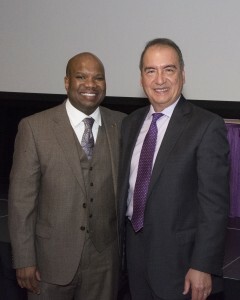 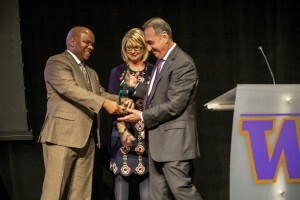 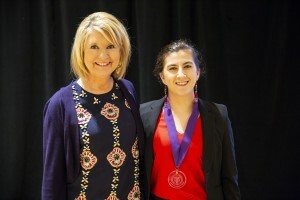 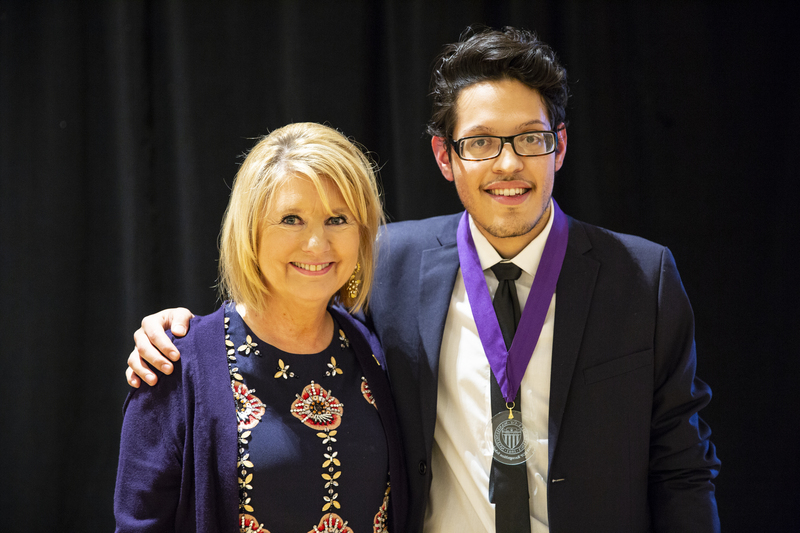 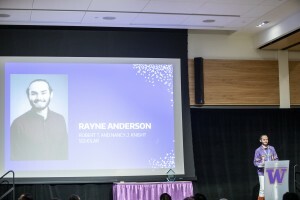 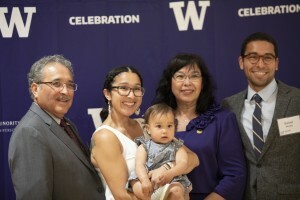 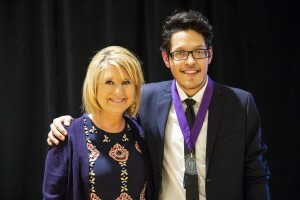 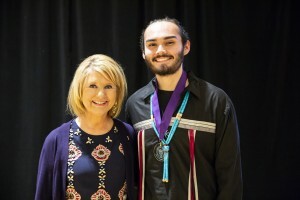 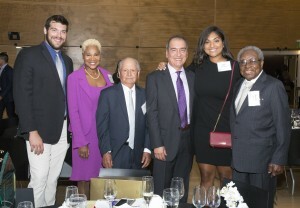 The Honorable Ricardo S. Martinez, ’75, ’80, Chief United States District Judge, received the University of Washington’s Charles E. Odegaard Award and several outstanding student scholarship recipients were recognized at the 48th annual Celebration held at the Husky Union Building Ballroom, May 16. 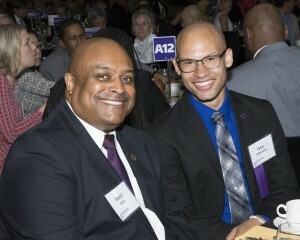 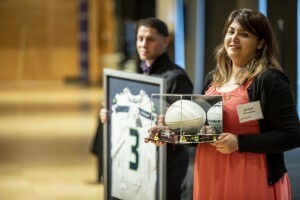 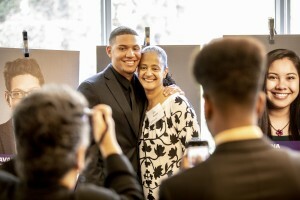 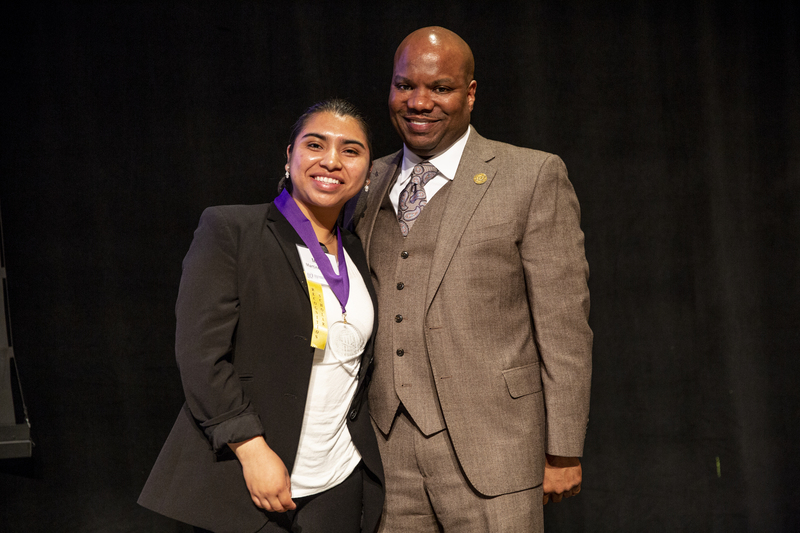 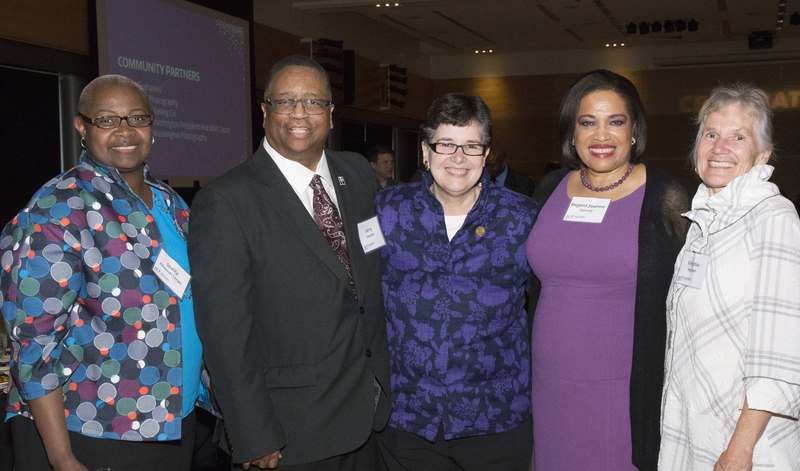 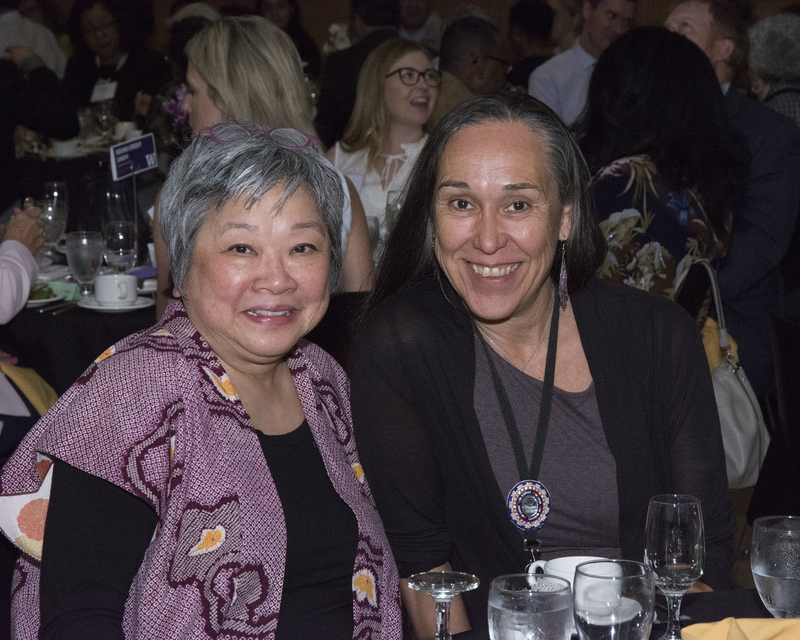 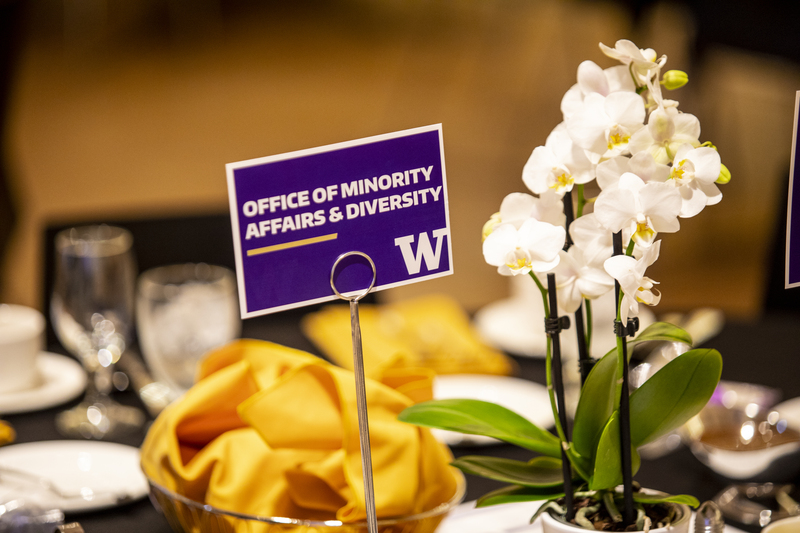 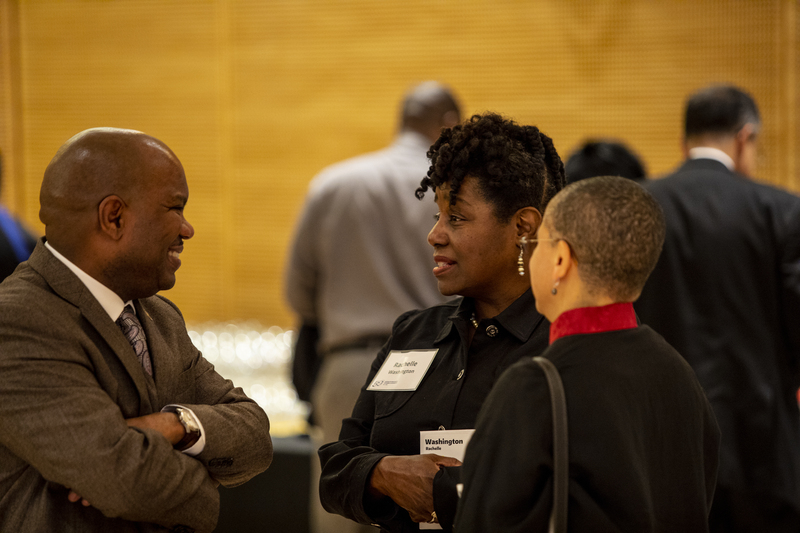 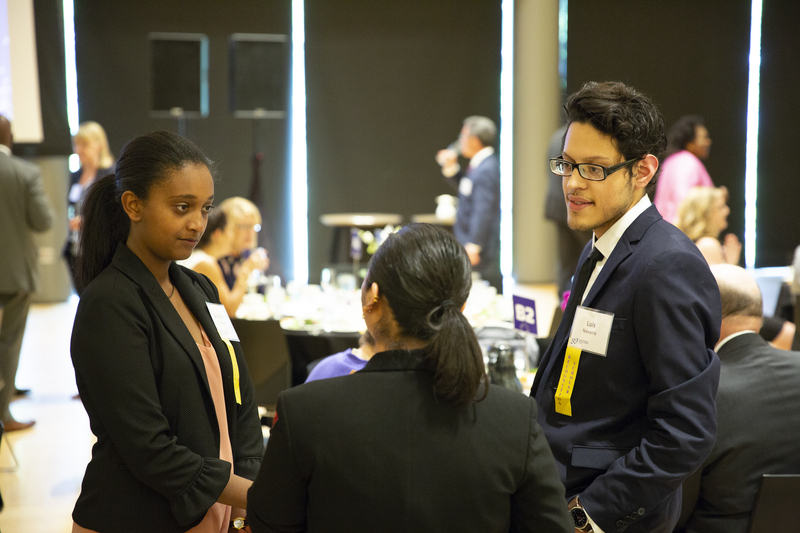 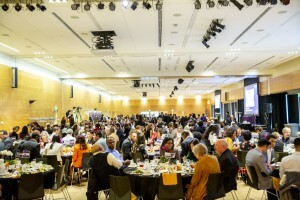 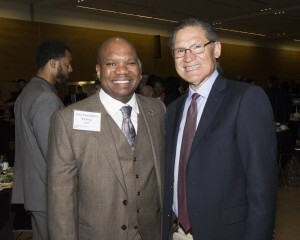 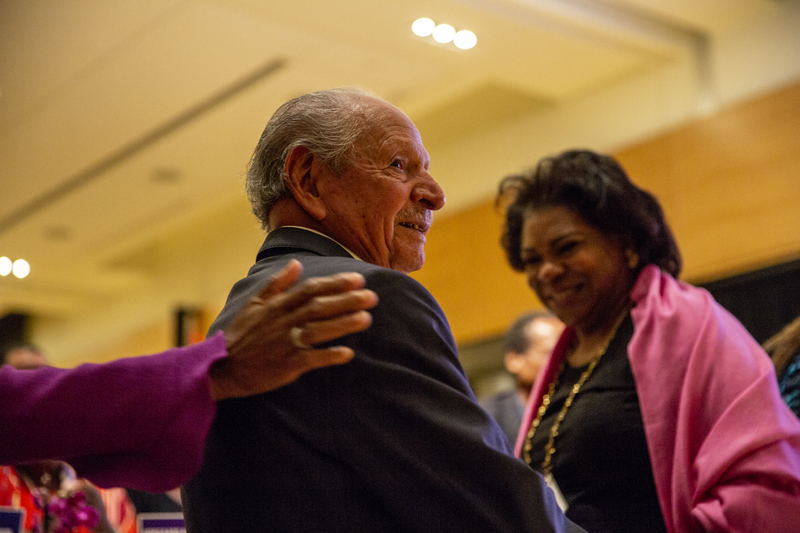 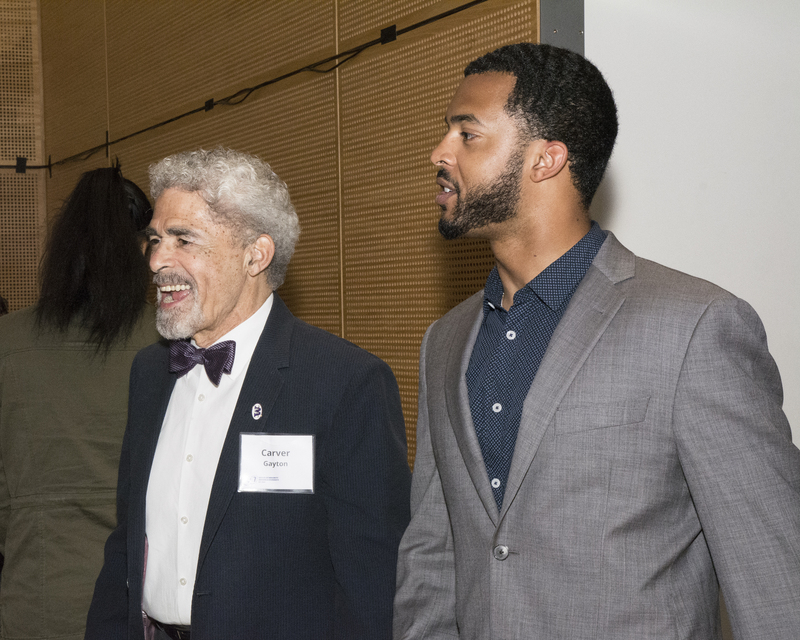 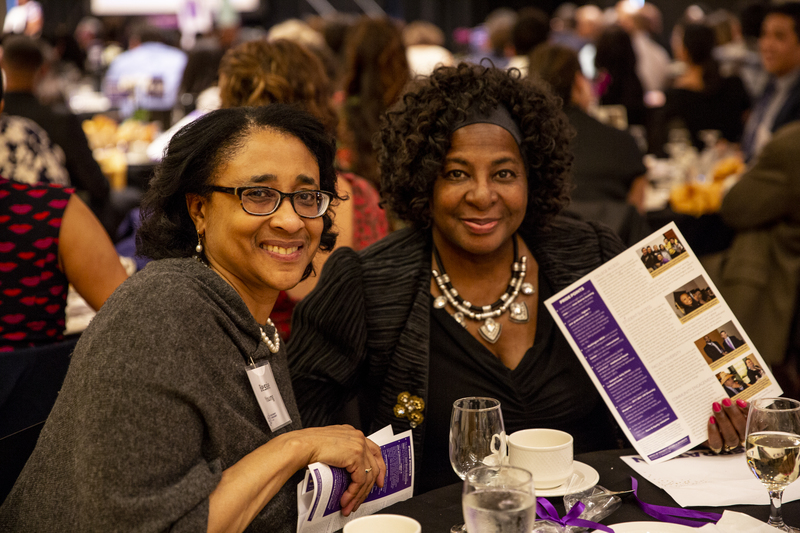 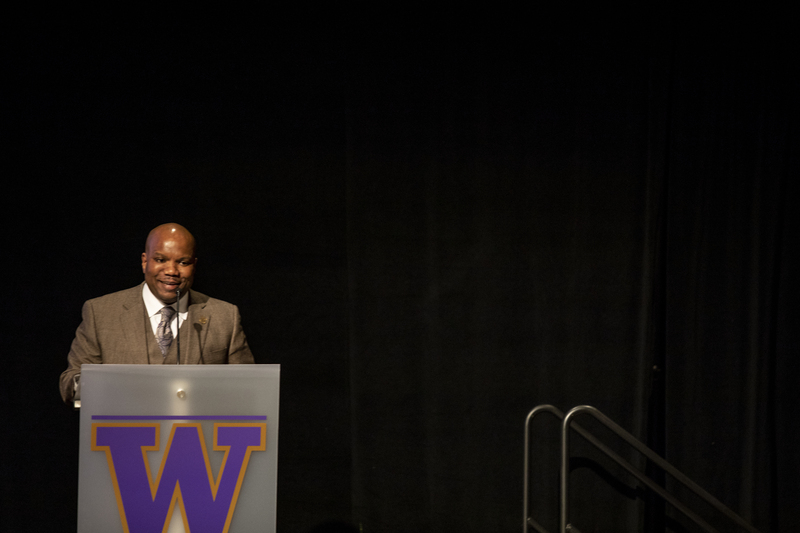 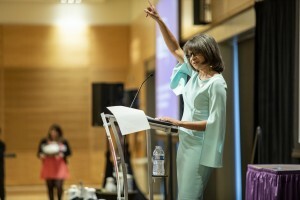 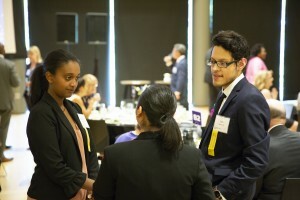 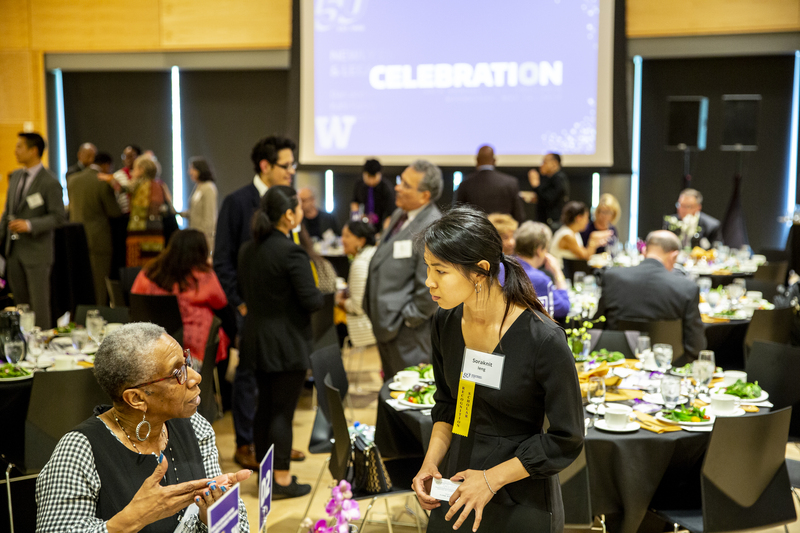 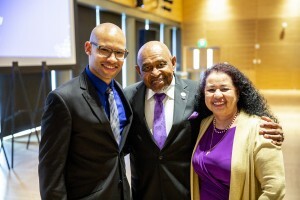 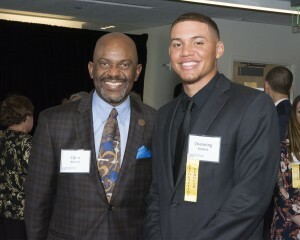 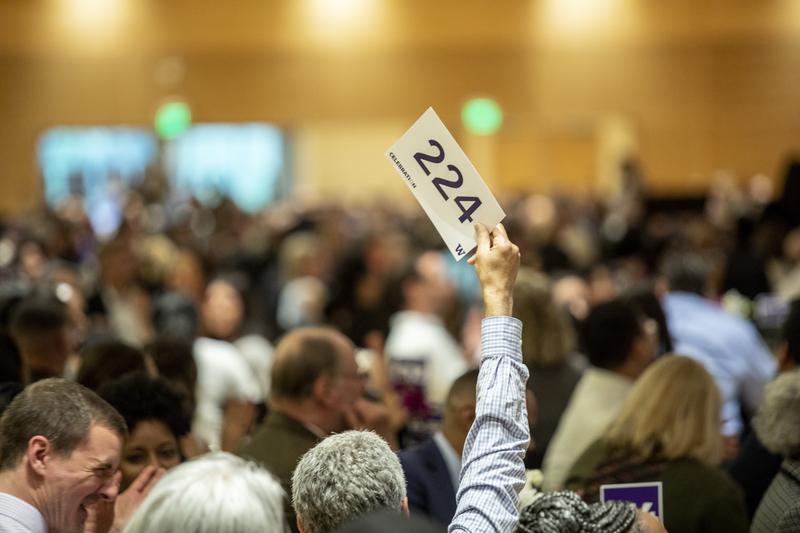 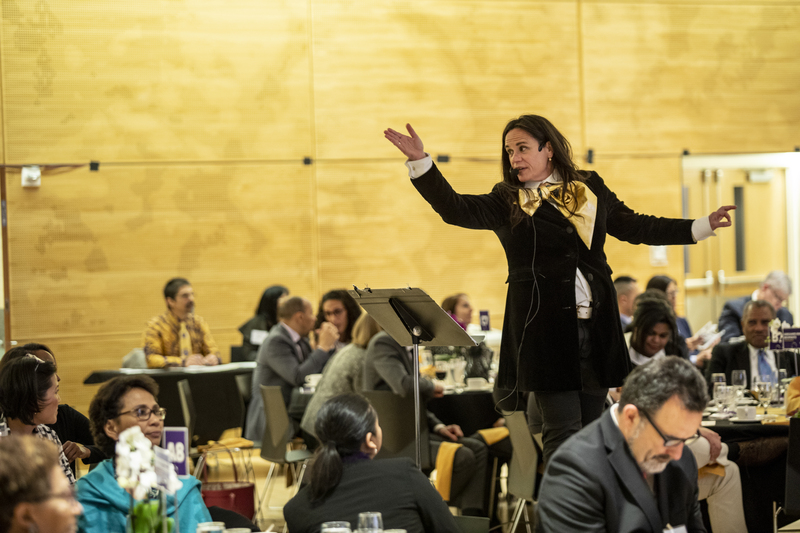 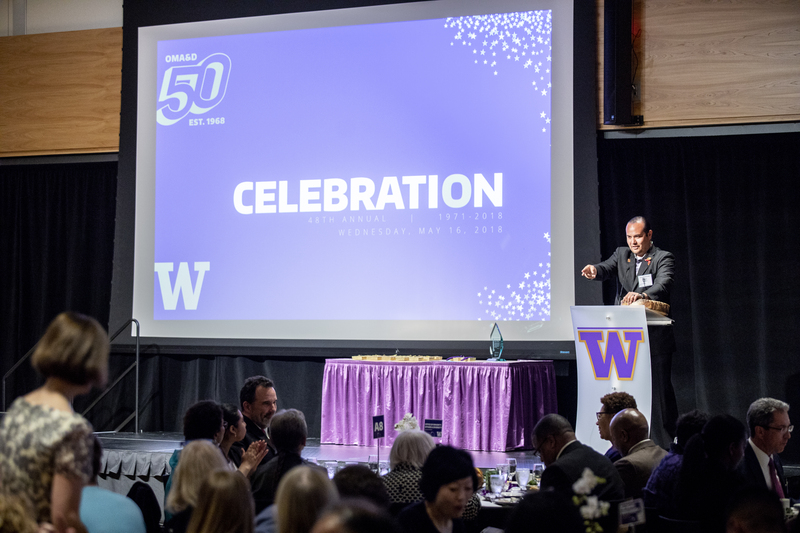 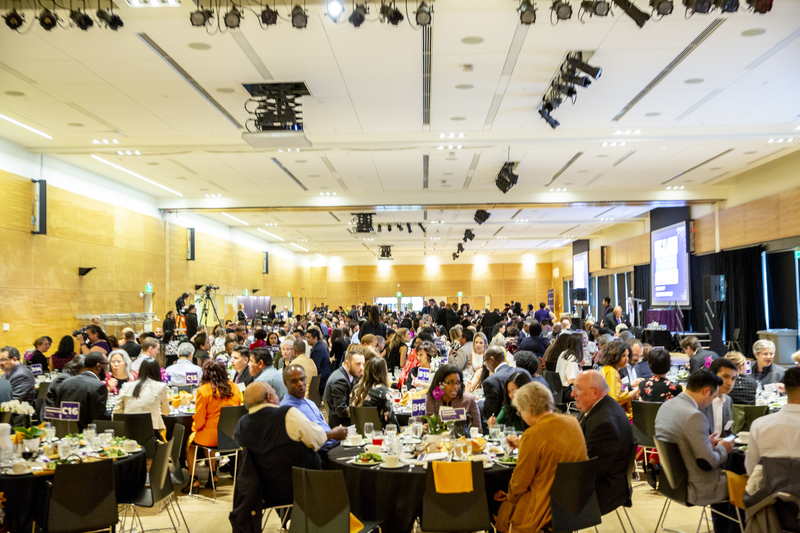 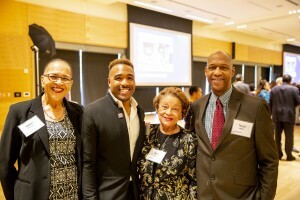 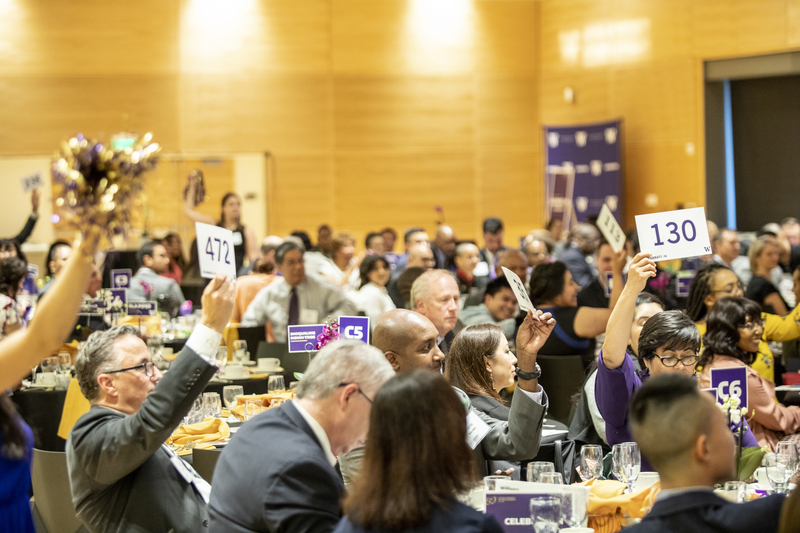 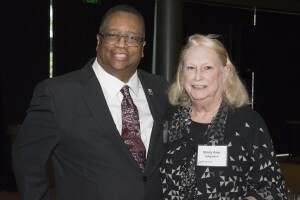 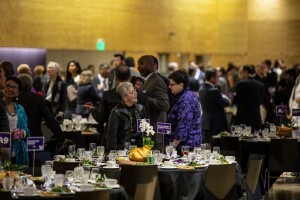 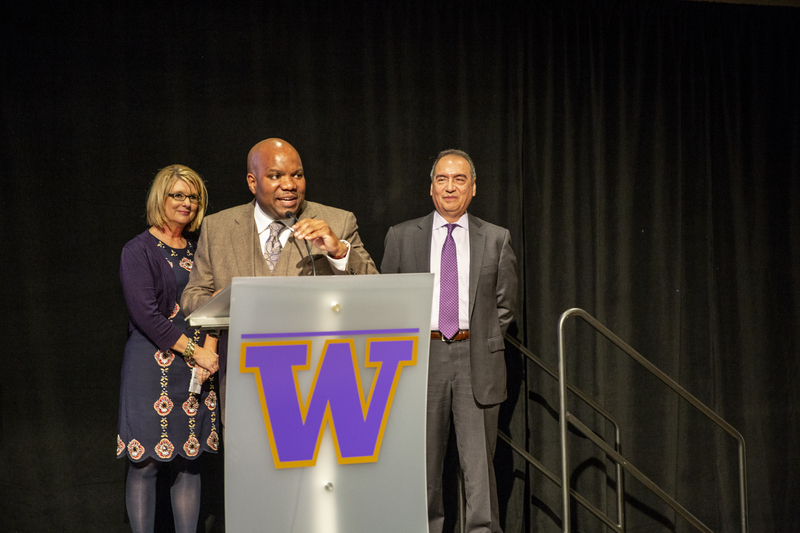 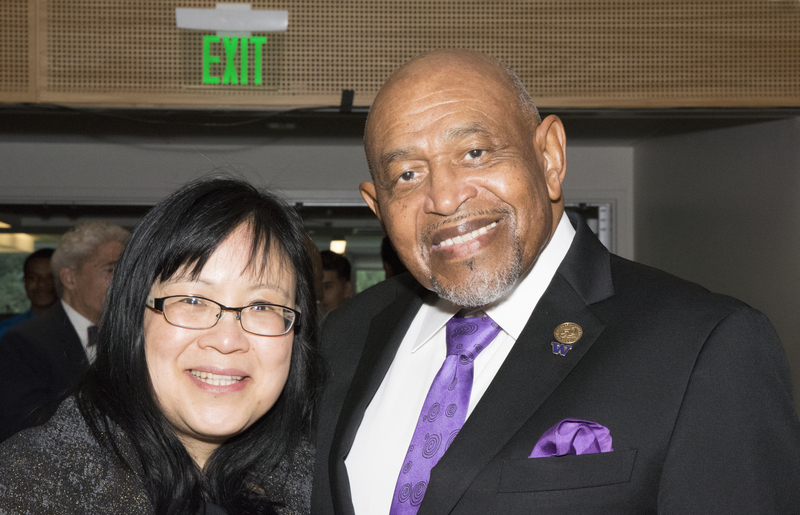 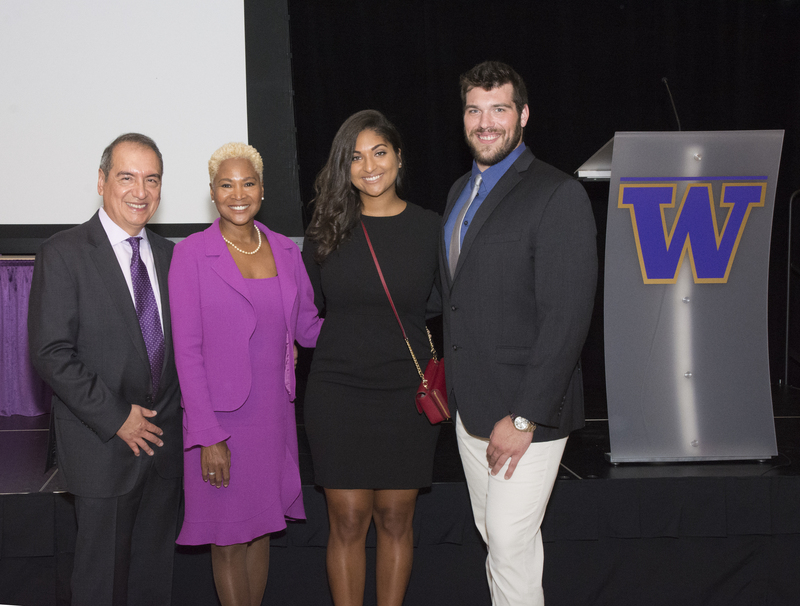 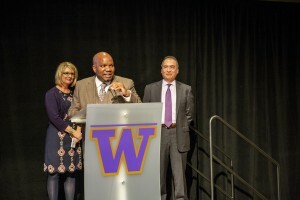 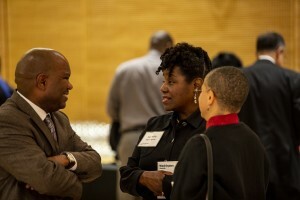 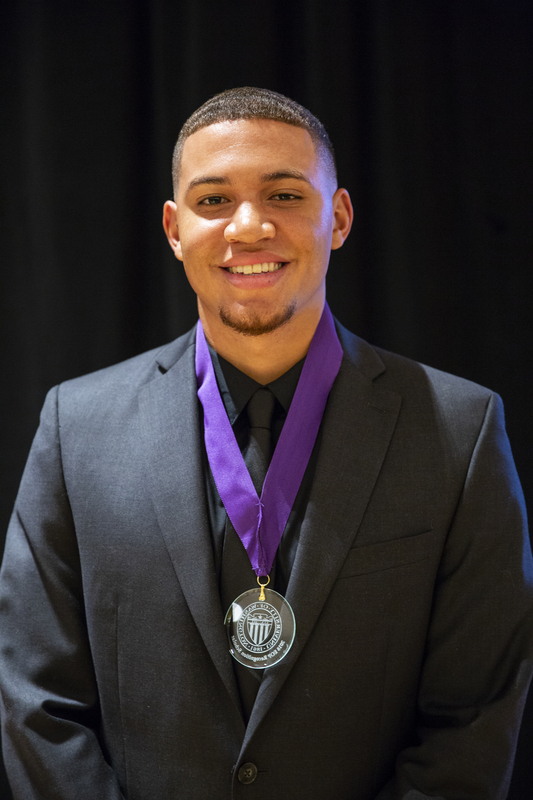 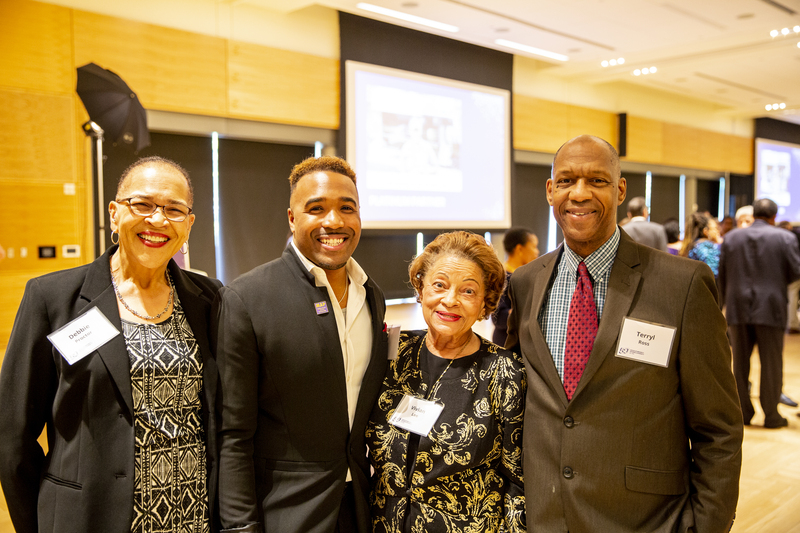 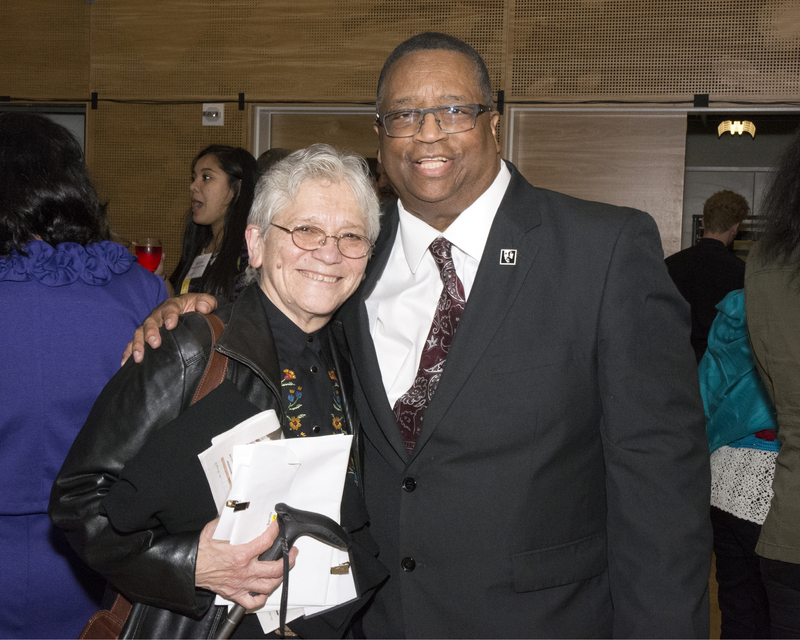 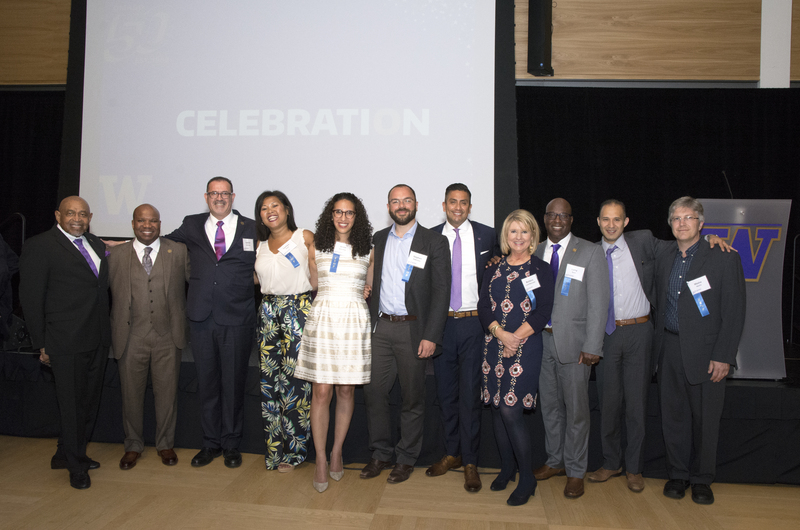 Over 500 community members, alumni, donors, partners, faculty and staff attended the dinner and scholarship fundraiser hosted by the UW Office of Minority Affairs & Diversity (OMA&D) and the Friends of the Educational Opportunity Program (EOP). 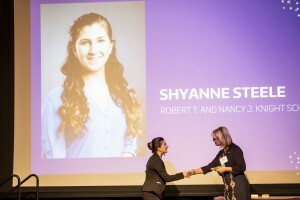 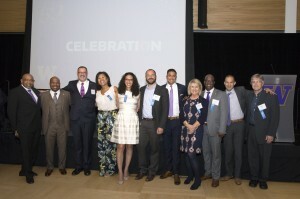 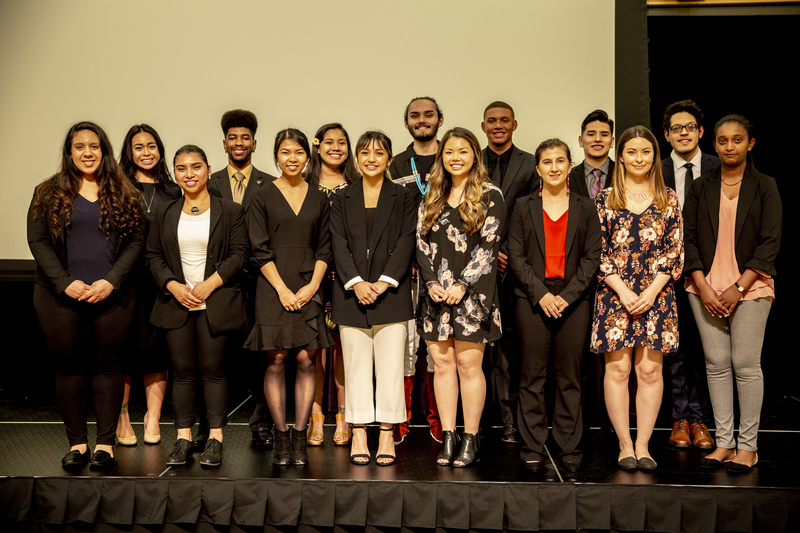 Thanks to their support, over $350,000 was raised to benefit scholarships for underrepresented minority, low-income and first-generation students. 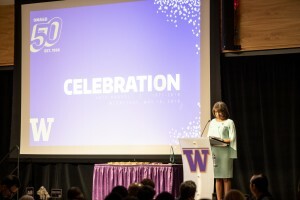 The event also recognized the 50th Anniversary of OMA&D. 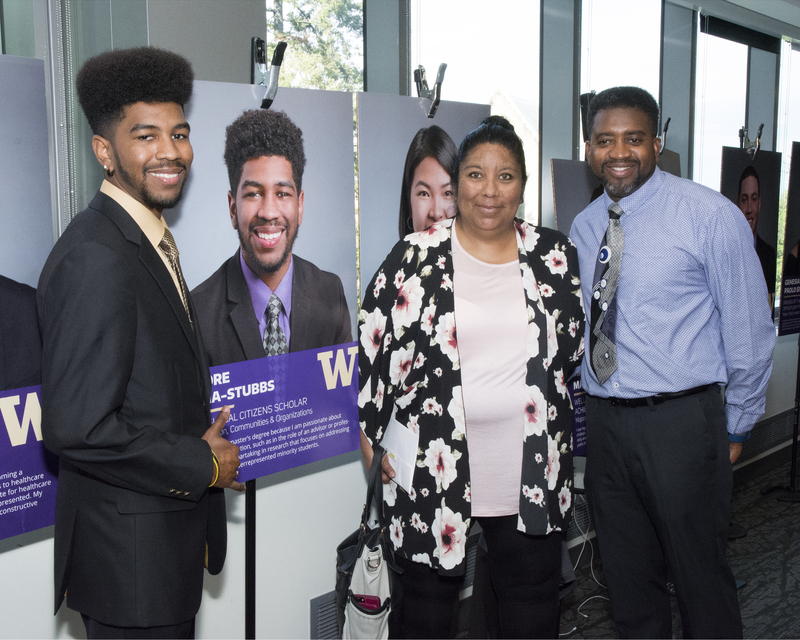 The student scholars recognized were celebrated for their contributions on campus and in the community, while achieving academic excellence. 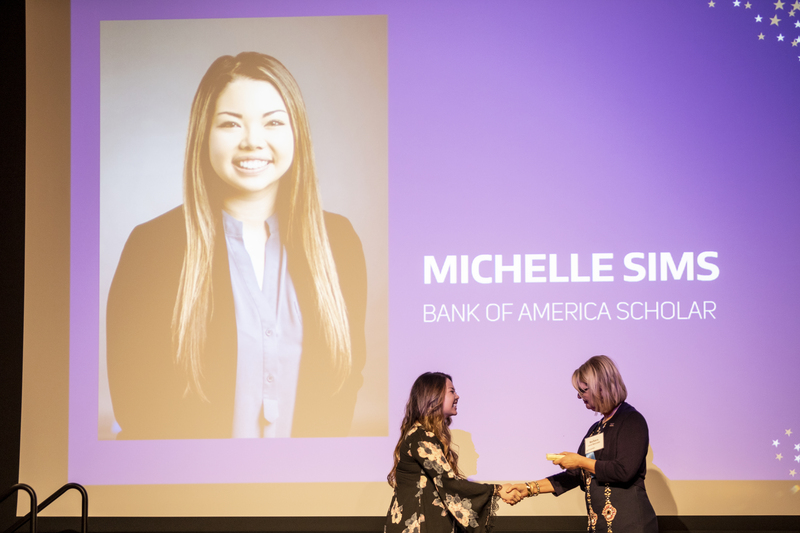 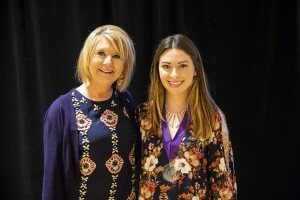 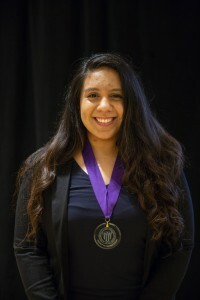 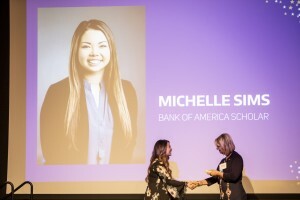 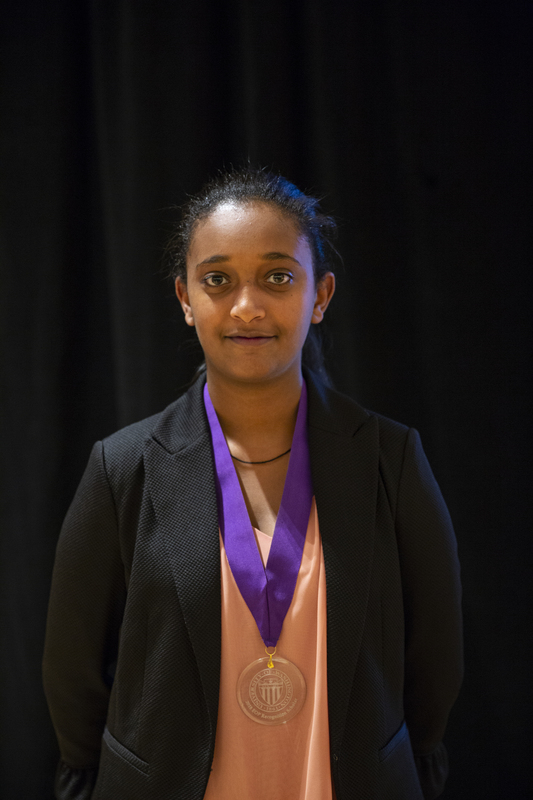 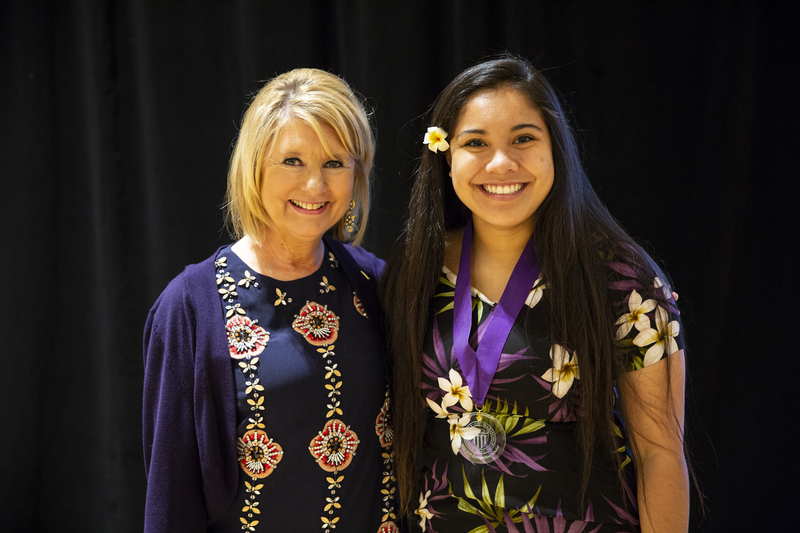 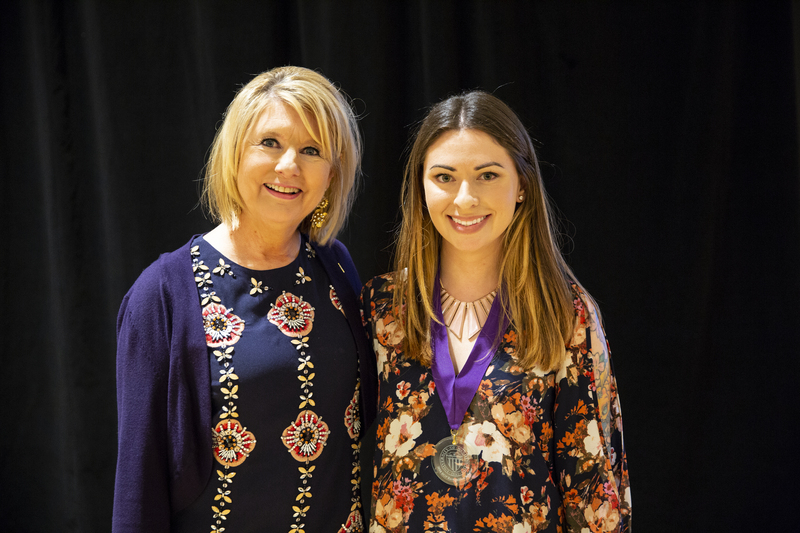 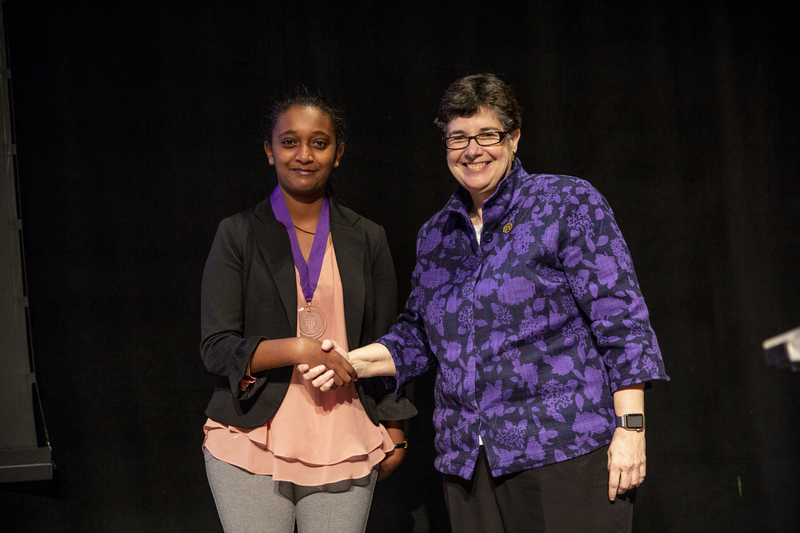 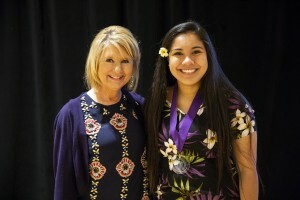 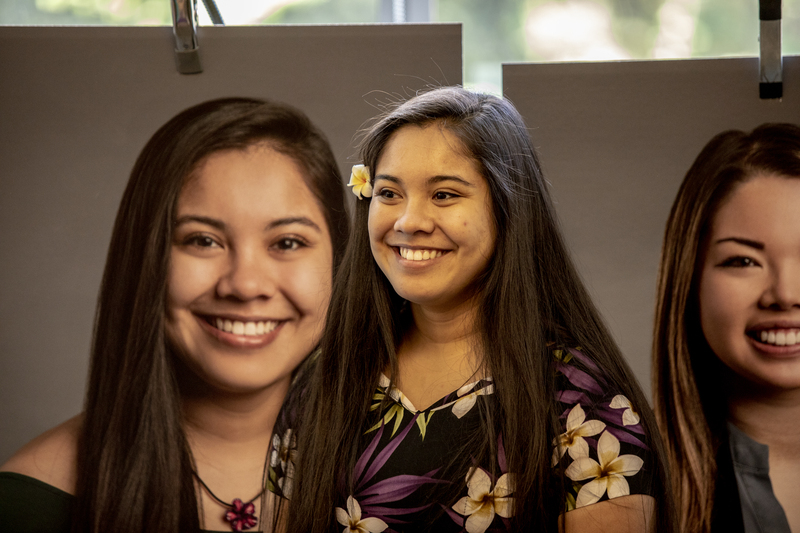 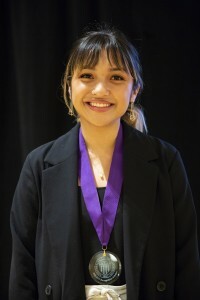 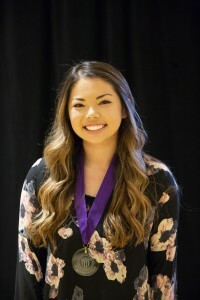 Top honors went to President’s Achievement Award winner Betelhem Yoannes and Wells Fargo Vice President’s Award winner Maria Martinez-Alonso. 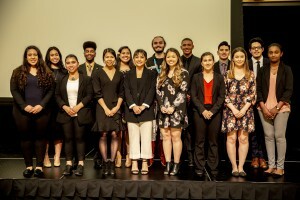 Also acknowledged as recognition scholars were Alina Aleaga (Graduate Opportunities and Minority Achievement Program Scholar), Rayne Anderson (Robert T. and Nancy J. Knight Scholar), Habibo Bario (Dr. Millie Russell Scholar), Irvin Garcia (Gary D. Kimura Family Scholar), D’andre Garcia-Stubbs (Del Rio Global Citizens Scholar), Soraknit Ieng (QFC Scholar), Luis Navarro (Murray, Pitre, Baker, Rosebaugh Scholar), Channing Nesbitt (University of Washington Athletic Scholar), Genesia Pisaina Paolo Sivia (Friends of the Educational Opportunity Program Scholar), Michelle Sims (Bank of America Scholar), Shyanne Steele (Robert T. and Nancy J. Knight Scholar), Emily Van Pelt (Educational Opportunity Program Scholar), Bennet Vining (Lydia A. Gonzales Scholar) and Daisy Zavala (William P. and Ruth Gerberding/Early Identification Program Scholar). 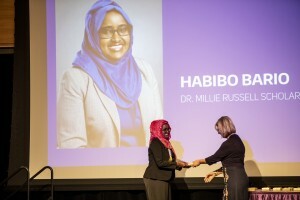 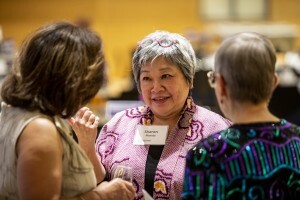 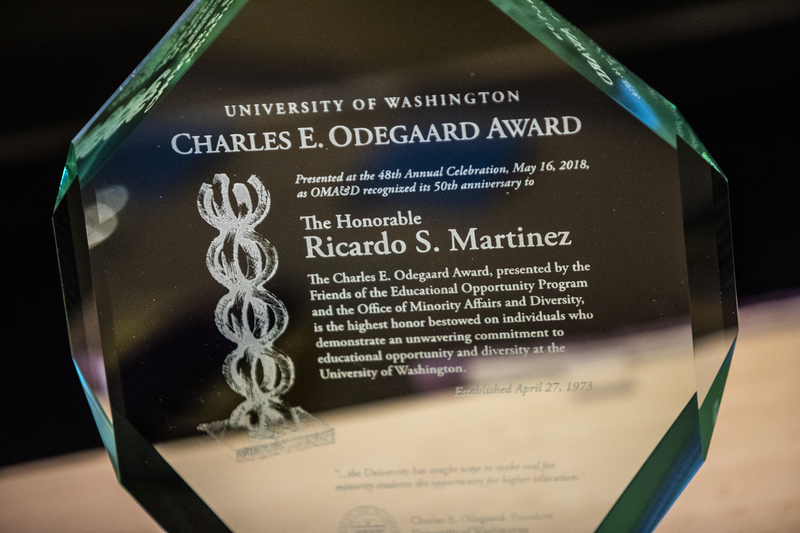 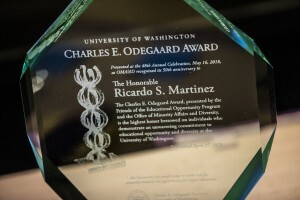 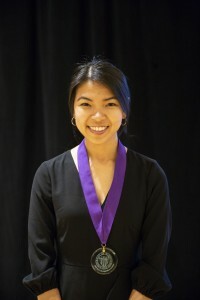 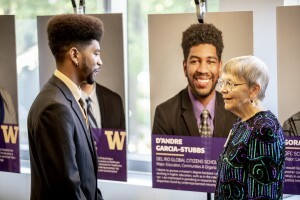 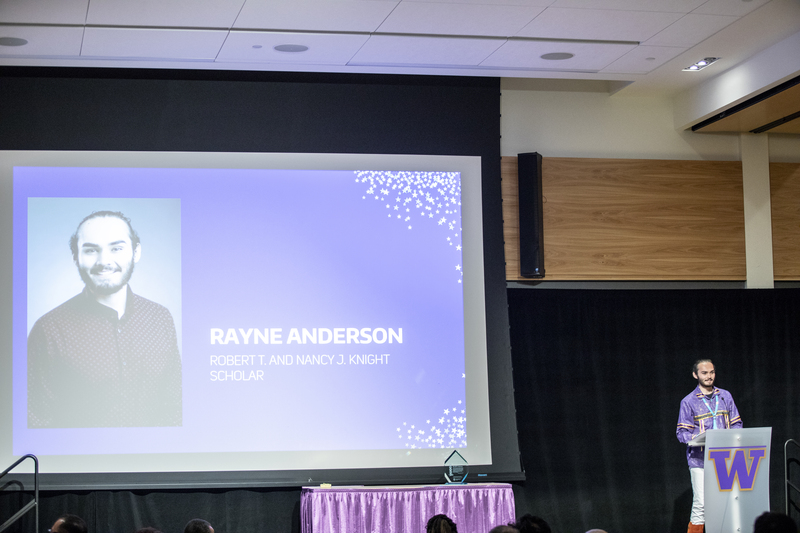 Established in 1973, the Odegaard Award honors a member of the community whose leadership sustains the former UW president’s distinguished work on behalf of diversity. It is regarded as the highest achievement in diversity at the university. 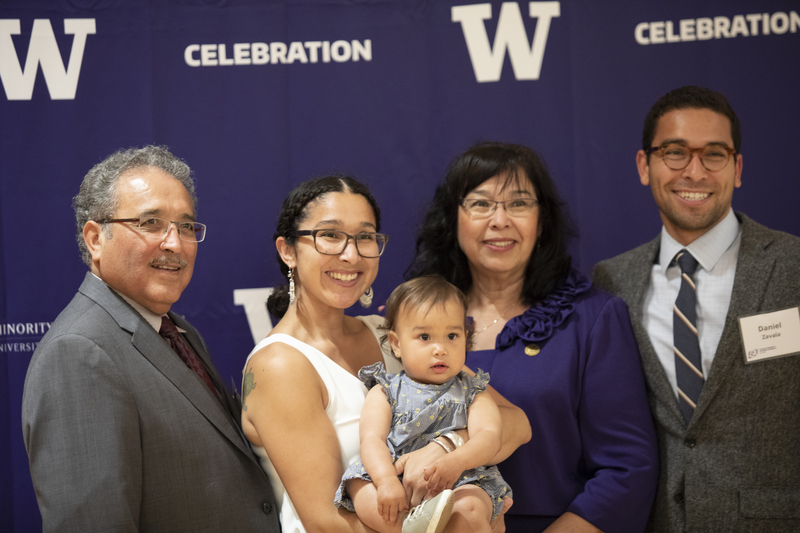 A student activist at the UW in the late 1960’s and early 1970’s, Judge Martinez turned his desire to create change into a distinguished judicial career that has spanned nearly three decades. 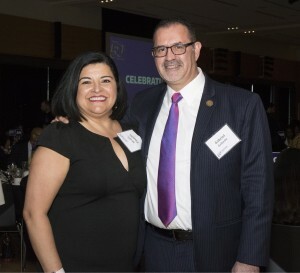 He is the first Latino judge to serve on the U.S. District Court for the Western District of Washington. Judge Martinez has also spent a large part of his career serving as a mentor to lawyers and law students of color. 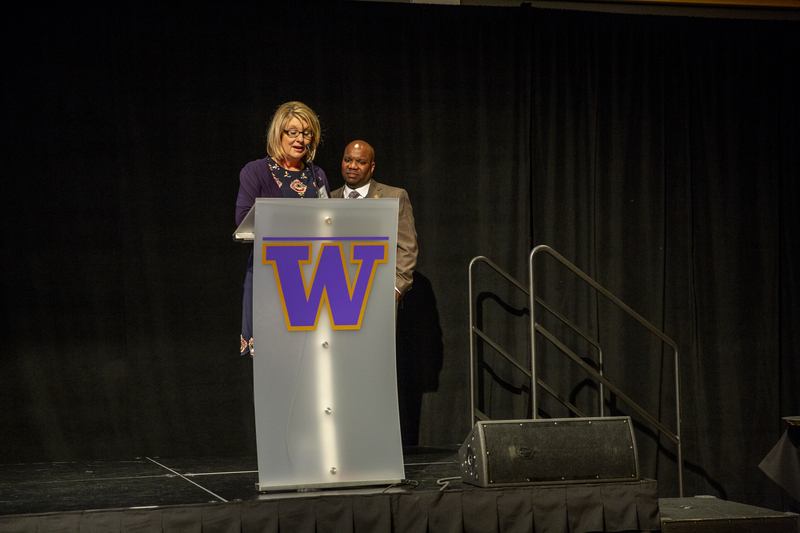 Alumna Angela King, ’95, a former recipient of the President’s Achievement Award herself, served as the program emcee once again. 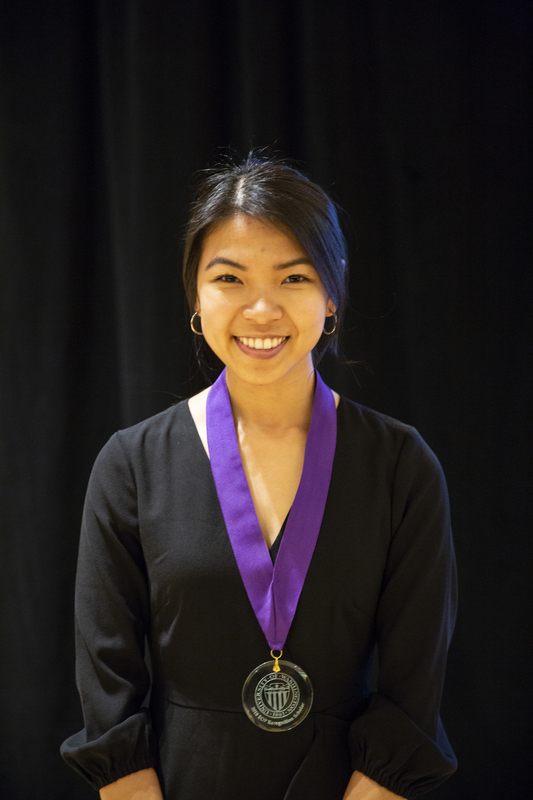 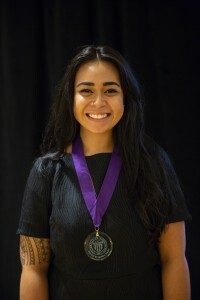 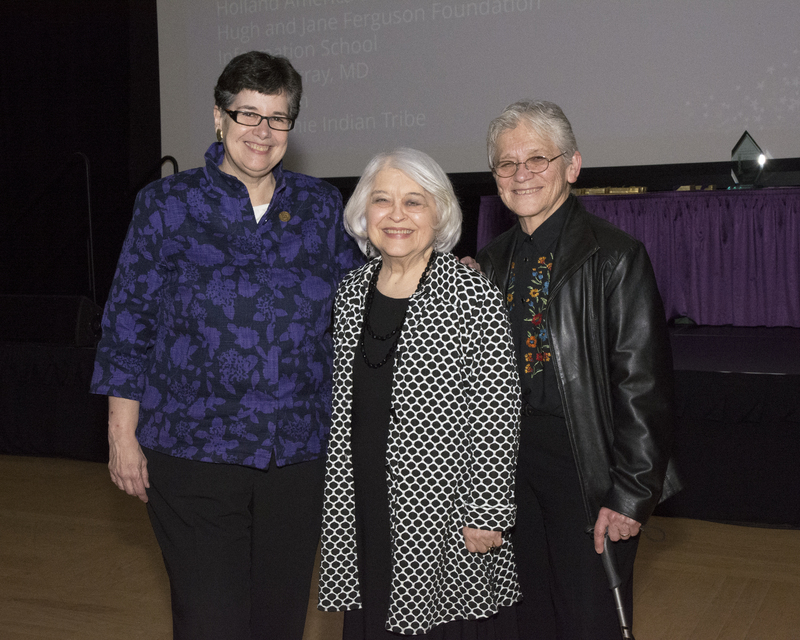 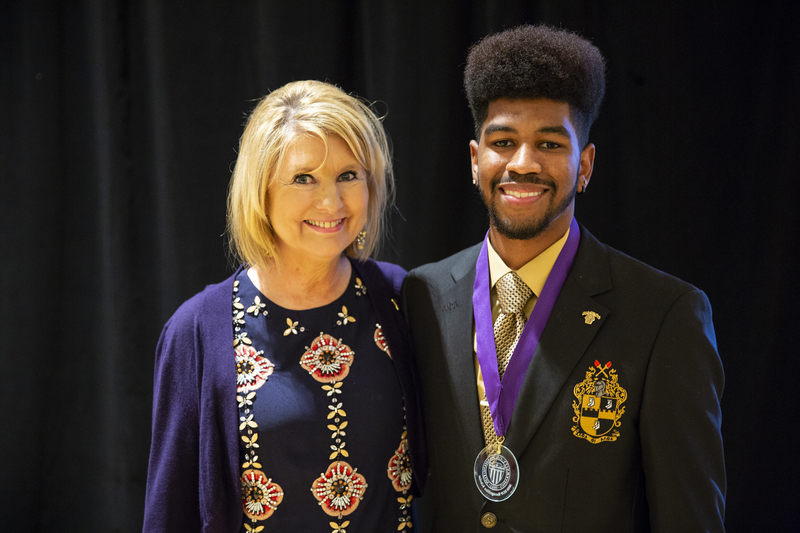 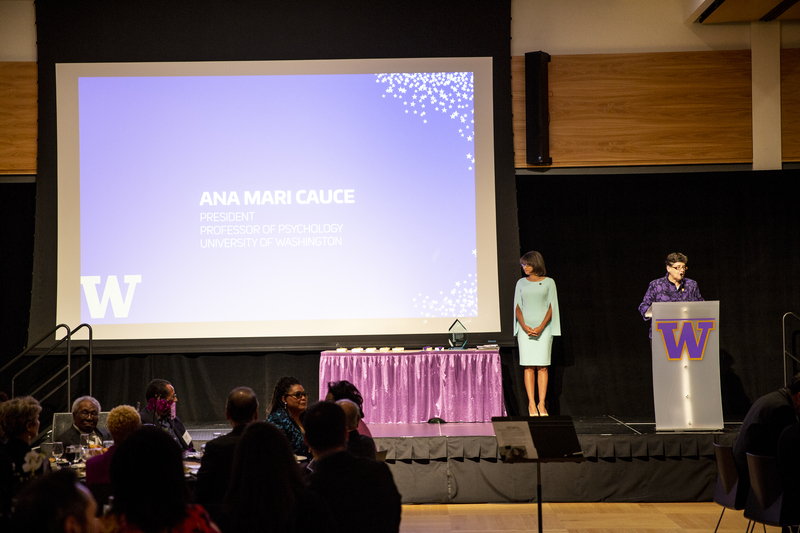 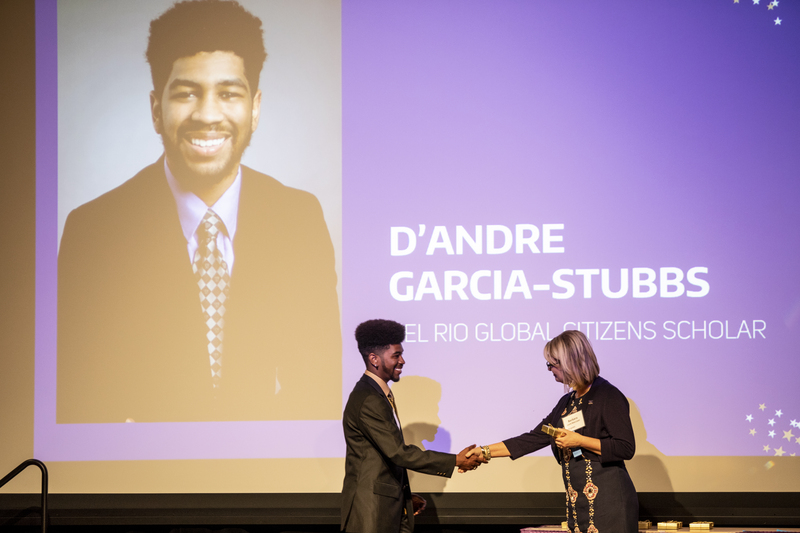 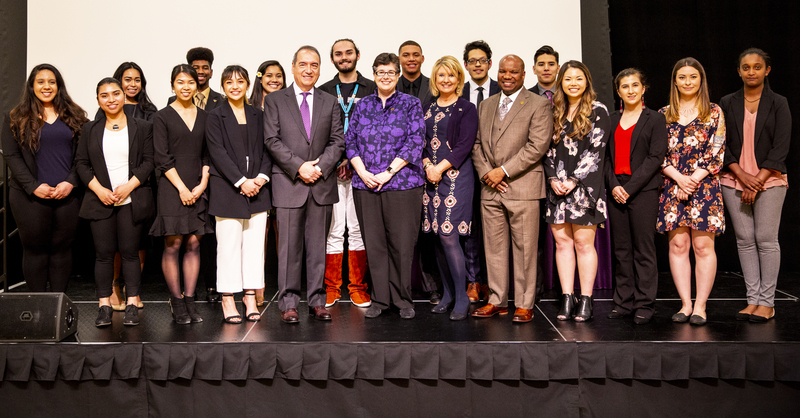 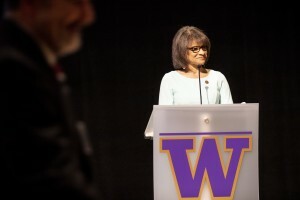 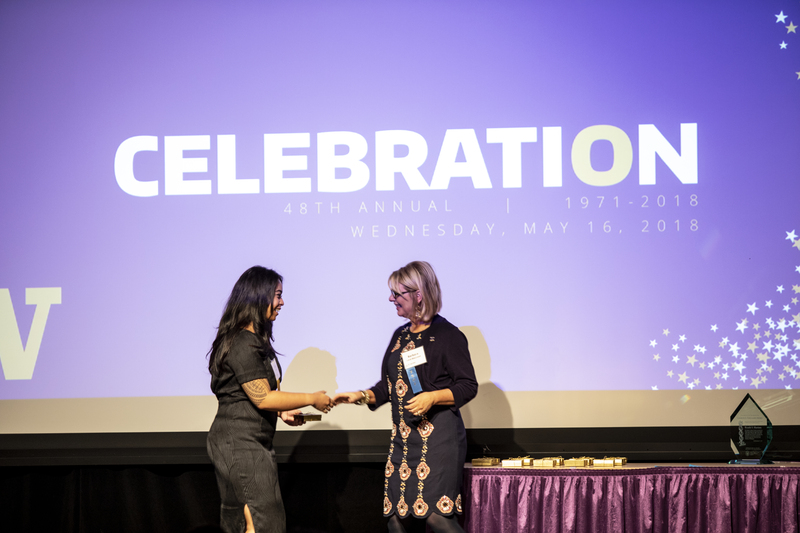 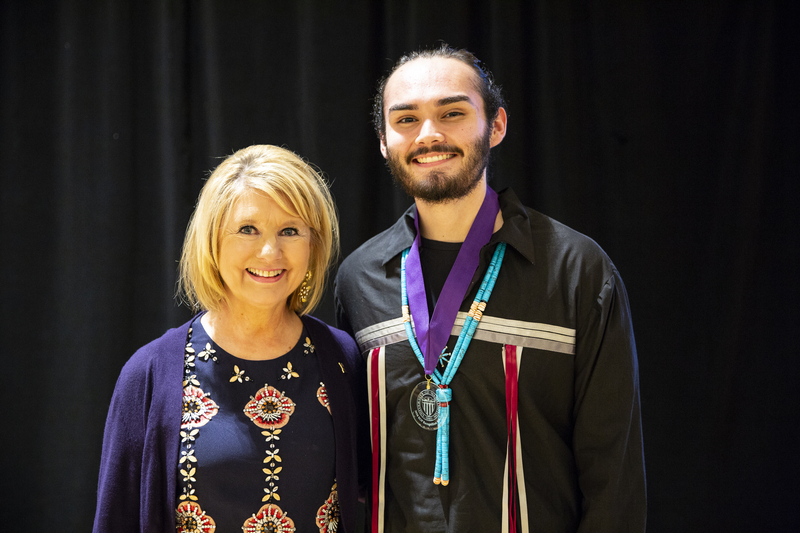 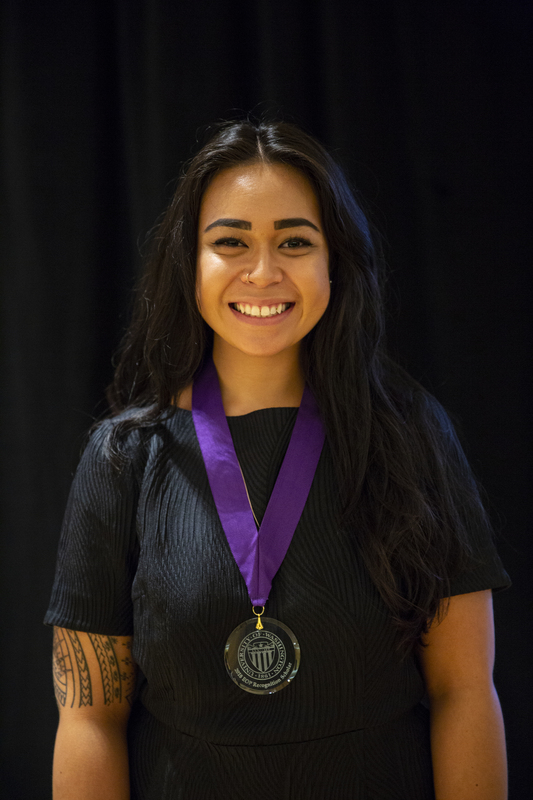 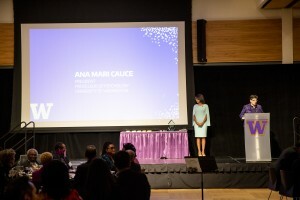 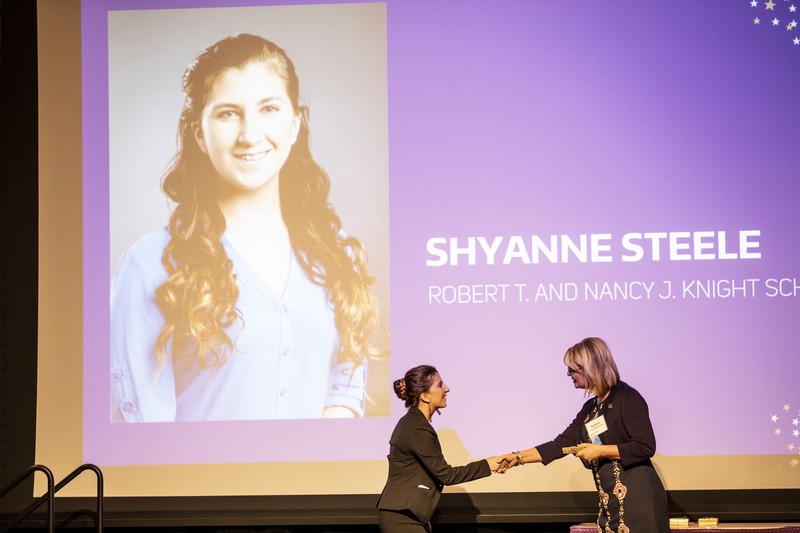 Celebration also featured remarks from UW President Ana Mari Cauce, OMA&D Vice President and Chief Diversity Officer Rickey Hall, FEOP Board President Barbara Lord MacLean and student Rayne Anderson. Laura Michalek served as the fundraising auctioneer for the second-straight year.